← Flip Your Classroom with Online Discussions! This morning I had a conversation with a fellow teacher. When I asked how she was doing, she said she was “fighting the Back-to-School blues.” With 9 years of teaching and back-to-schools under my belt I both identified with her and was troubled by the statement. As the conversation progressed, it became clear that her “blues” or sadness about returning to school stemmed from the challenges she is facing in the current tide of budget cuts, increasing class sizes and dwindling resources. She was excited to welcome a new group of students and loves her subject area, but everything else related to her back-to-school routine felt daunting and overwhelming. I walked away from our conversation thinking about why so many teachers feel this way about their jobs. Why is it that we love our students and feel passionately about our subject area yet so many of us experience dread and mild depression at the thought of returning to work at the start of each school year? In part, I think the answer is that we feel very alone. Teachers belong to several communities- their classroom, their department and their schools- yet when planning for a new year and developing curriculum many do not feel they have the support they need to be successful. With professional development days on the chopping block and less money for conferences and resources, many teachers must develop their own PLN. 1. Connect with Other Educators Any Time. Most teachers lament that they do not have enough time in the school day to share best practices with their peers. Administrative and department meetings tend to focus on the nuts and bolts…schedules, truancy rates, standardized exam scores, etc. Teachers are creative people who thrive when able to collaborate and share their ideas. With a Personal Learning Network teachers can stay in touch with other educators any time regardless of location. 2. Keep Learning. Most teachers want to cultivate a lifelong love of learning in their students. We know that to continue growing, we must continue learning. In the hustle and bustle of daily life, we have to carve out a time and space to continue this education and prioritize our own learning. 3. Embrace the Change; Don’t Fight it. The teaching profession is rapidly changing. For many educators this is scary despite the benefits that technology offers to teachers and students. Building a network of relationships (via Twitter, Classroom 2.0, The Educator’s PLN) with other educators who are using technology successfully is the first step towards learning how you can also be successful integrating technology into your own classes. 4. Expand the Scope of Your Class. Teachers around the globe are doing exciting things in their classrooms. They are connecting with other teachers, classes and students around the world to create opportunities for students to see how interconnected our world is becoming. Reading blogs and engaging in conversations on twitter (like #edchat) about education can open your eyes to the limitless possibilities that are available to you. Whether on a small scale with people in your own town or on a global stage, connecting with other educators can allow you to design activities and projects that make learning relevant. 5. Get Inspired! Nothing is more exciting than an interesting or fresh idea. Exposure to more ideas, activities, lessons, projects, learning platforms, teaching models, etc. will provide you with the wealth of ideas needed to keep this profession exciting. It is no wonder that teachers who teach from the same book they have been using for a decade feel a bit blue at the prospect of returning to school. Teachers who can access the fun and innovative ideas being shared via blogs and other social networking sites can try new things and share their own experiences! Have you developed your PLN? If so, how is it helping you? Share your thoughts, experiences, expertise, and/or add me to your PLN! 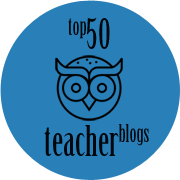 This entry was posted in Blended Learning, Online Learning, Teaching Resources, Technology in the classroom and tagged Blended Learning, Connections for Schools, Online Collaboration, Personal Learning Network, PLN, Professional Deveopment, Social Networking for Teachers. Bookmark the permalink. 6 Responses to 5 Reasons Teachers Should Create a PLN Now! I have colleagues in the district at different K-8 schools with whom I share ideas and activities but it is not always possible to contact them on a daily basis. I am so happy to have recently found twitter PLC’s and some other websites where I communicate with other educators sharing similar teaching philosophies. Anyone want to open a school? Great post Catlin! I’m actually sharing with pre-service teachers the value of establishing a PLN prior to securing that first position. Establishing a community and reducing that feeling of isolation is so critical for us as we first start out. Appreciate your thoughts!